The early morning invasion of the National Assembly by masked security operatives, yesterday, which prevented lawmakers and members of staff, including the Clerk of the National Assembly, Alhaji Mohammed Sani Omolori from accessing thesir offices, has cost Lawal Musa Daura, Director-General of the Department of State Services (DSS), his job. Although the masked security operatives claimed they acted based on “order from above”, Daura’s sacking was announced via a two-paragraph statement by the Senior Special Assistant to the Acting President on Media and Publicity, Laolu Akande. “Mr. 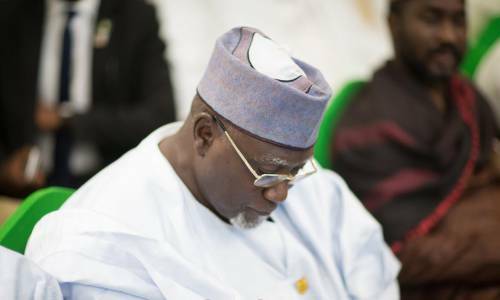 Daura has been directed to hand over to the most senior officer of the State Security Service until further notice,” the statement said. Daily Sun learnt that Osinbajo wielded the stick after he got the nod from President Muhammadu Buhari, who is on a 10-day vacation in the UK. 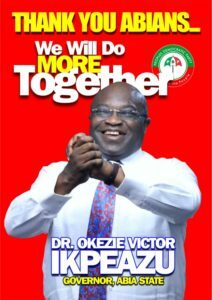 “The government felt highly embarrassed by the action of Daura which caught the Presidency unaware. 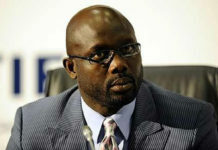 He acted on his own and had to pay the price for his recklessness and impunity,” the source said. In a separate statement, Osinbajo condemned in strong terms the unauthorised takeover of the parliament complex, describing it “as a gross violation of constitutional order, rule of law and all acceptable notions of law and order.” In a three-paragraph statement, Akande said the “unlawful act, which was done without the knowledge of the Presidency is condemnable and completely unacceptable. 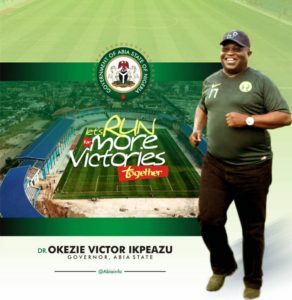 Although the police was also fingered in the “illegal operation”, the Inspector General of Police, Ibrahim Idris, has denied that a detachment from his office took part in the invasion. He said the siege was “a surprise” to him. Investigation revealed that the invasion was part of a grand plot to effect leadership change in the Senate. 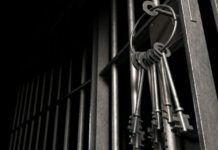 According to sources, part of the plot was to create a window for pro-government senators to illegally reconvene the upper chamber and replace the principal officers with senators loyal to government. Facts have emerged on how the invasion was hatched and executed by senators elected on the platform of the ruling All Progressives Congress (APC) and foiled by lawmakers loyal to the President of the Senate, Bukola Saraki. 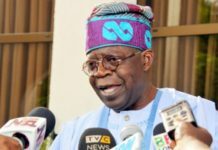 According to multiple sources, the plot was hatched at a meeting held at the DSS headquarters in the early hours of Tuesday attended by at least 30 APC senators including Godswill Akpabio, Ahmad Lawan, George Akume, Abu Ibrahim, Adamu Abdullahi and the leadership of the party, led by its national chairman, Adams Oshiomhole. It was learnt that the meeting coordinated by the sacked DSS boss commenced at about 12.30 a.m. and lasted till about 2 a.m.
During the meeting, the APC senators in attendance were reportedly told to be at the National Assembly before 7 a.m. They were reportedly told that security will be provided for APC senators, while their PDP counterparts and others loyal to Saraki will be barred from getting into the chamber. 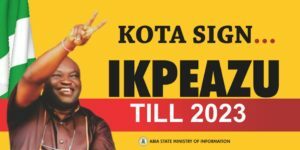 It was further learnt that at about 4 a.m., over 50 armed DSS operatives arrived at the National Assembly and were supported by special forces from the office of the Inspector-General of Police (IGP). Daily Sun gathered that Saraki’s camp got wind of the arrangement and immediately reached out to senators and members of the House of Representatives. Ibrahim Lafiagi from Kwara State was the first to arrive. He was soon followed by others. 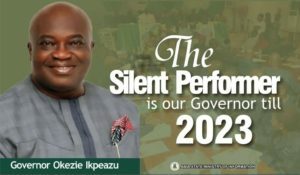 By 9 a.m., there were about 60 senators drawn from the APC and the PDP and over 120 members of the House of Representatives. The masked operatives who reportedly took over the National Assembly complex as early as 4 a.m. blocked the two main entrances and exit gates and initially denied senators loyal to Saraki access into the complex. 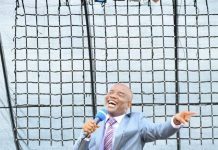 However, a PDP member of the House of Representatives from Rivers, Boma Goodhead defied the DSS barricade. She queried the DSS operatives on their mission. Daring them to shoot her, she bulldozed her way through the barricade. Goodhead who represents Akulga/Asalga Federal Constituency angrily told the masked DSS operatives: “I dare you to shoot this bullet and Nigerians shall face you. She brushed passed them and called on other lawmakers, who stood helplessly at the gate to come into the complex. Inside the lobby of the National Assembly, the lawmakers were again, barred from accessing either the Red or Green Chamber. The gun-wielding agents withdrew from the National Assembly complex at about 2.48pm, when news of the sack of Daura went viral. The security operatives, who had laid siege at the parliament for over nine hours, opened the gates leading into the Assembly complex before exiting the place. 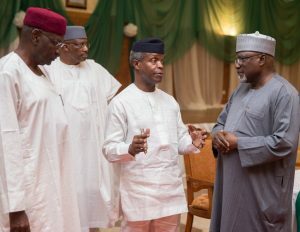 Apart from costing Daura his job, the invasion also scuttled the scheduled meeting between the leadership of the National Assembly and the Independent National Electoral Commission (INEC). The meeting was to address pending issues including the budget for the 2019 general election. Senate President, Bukola Saraki and Speaker, House of Representatives, Yakubu Dogara have condemned the action of the security agents and described it as another attempt to subvert the nation’s democracy. In a statement jointly signed by the two presiding officers of both Chambers of the National Assembly, Saraki and Dogara stated that the heavy presence of armed security men who unnecessarily militarised the legislative complex and harassed legislators and the workers in the complex could not be justified in a democracy. They called on members of the international community to view the development as a coup against democracy. “This is a throwback to the inglorious days of military rule where dissent is not tolerated and freedom of association and other fundamental human rights are willfully and carelessly violated. “We urge Nigerians and the international community to condemn this illegal invasion of the National Assembly complex and the attempt to asphyxiate the legislature as undemocratic, uncivilised and irresponsible,” Saraki and Dogara stated. Meanwhile, knocks and kudos have trailed the invasion and the sacking of Daura. While some asked for his prosecution for attempted “coup,” some believe his sack was a face saving measure for the government whose alleged plot to illegally change the leadership of the National Assembly failed. Former vice president, Atiku Abubakar and Sokoto State Governor, Aminu Tambuwal said the invasion was an affront on democracy. The duo in separate statements said the sack has given meaning to the cries of Nigerians who he said were against such undemocratic action. Atiku called for an independent judicial panel of inquiry to investigate it and those found guilty given appropriate punishment. Tambuwal said the invasion was an attempted coup against the Legislature. He also lauded the lawmakers who refused to be intimidated, describing them as heroes of democracy. 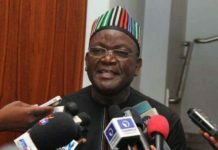 Benue State Governor, Samuel Ortom, who said the sack of Daura was long expected urged the Presidency to also look into operations of other security agencies to save the country from the current wave of impunity. The PDP said Daura’s sack is diversionary and deceitful. In a statement by its National Publicity Secretary, Kola Ologbondiyan, the PDP insisted that both Buhari, Osibanjo and the APC had foreknowledge of the blockade. “The Presidency’s sack of Daura was a damage-control stunt and a knee-jerk gimmick which came as a response to the national and international outcry against the armed invasion of our legislature by security agents as directed by the Buhari Presidency,” PDP stated. According to the party, “the action of security agents that blocked the National Assembly is treasonable and must attract appropriate sanctions under our law. It is not enough to take populist approach of easing Daura out of office. Our party demands an immediate investigation by an independent panel of inquiry headed by a retired Chief Justice of Nigeria to examine the remote and immediate cause of the invasion. But the Secretary of Eastern Consultative Assembly (ECA), Elliot Ugochukwu-Uko, said Daura was not the issue. The National Chairman of PDP, Prince Uche Secondus, has asked the United Kingdom to expel Buhari, who is on holiday in London, over yesterday’s blockade of the National Assembly. Secondus, in a statement by his media aide claimed the siege on the National Assembly has cleared every doubt that the president and the APC were out to destroy the nation’s democracy. In separate interviews senators Ben Murray Bruce, Clifford Ordia, Hamman Isah Misau, Chukwuka Utazi, Ibrahim Lafiagi and others described the action as anti-democratic and called on the international community to step in and salvage the situation. Similarly, Northern Leaders and Stakeholders Assembly (NLSA) condemned the action. In a statement signed by the secretary, Dr. Umar Ardo, it said: “We have watched with awe the trampling of Nigeria’s democratic values as perpetrated by the President Buhari-led APC Federal Government. The attempt to unlawfully open the Senate Chambers by the siege on the National Assembly this morning (yesterday) for whatever reason in a gestapo-like manner by the Nigerian security forces is perhaps the worst form of impunity our country has witnessed in recent history. This destructive act against our democracy can only be surpassed by a full blown military Coup d’état.